Everyone loves pizza, right?? 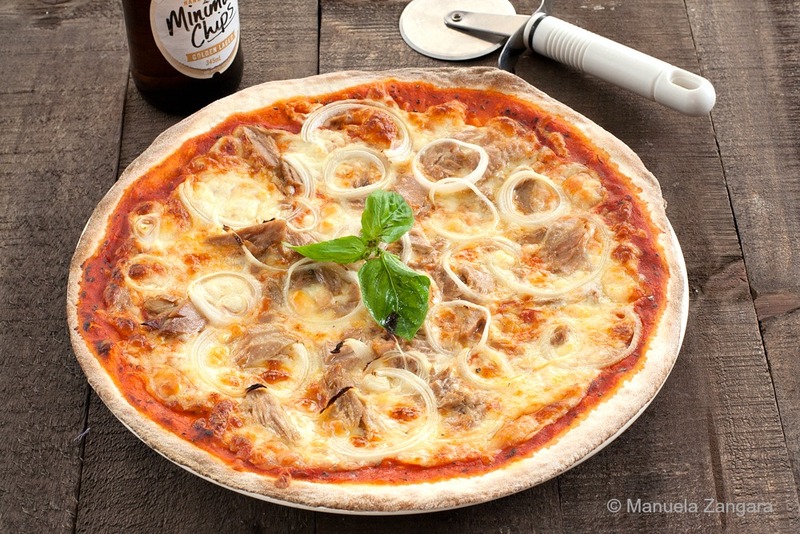 Today I am sharing with you the recipe for one of my favourite topping: Tuna and Onion Pizza! You know how I feel about pizza toppings, to me a “real” pizza must have only certain toppings. No gourmet pizza for me – I love tandoori chicken or bulgogi, but not on my pizza! You can read my do’s and dont’s of pizza toppings here. 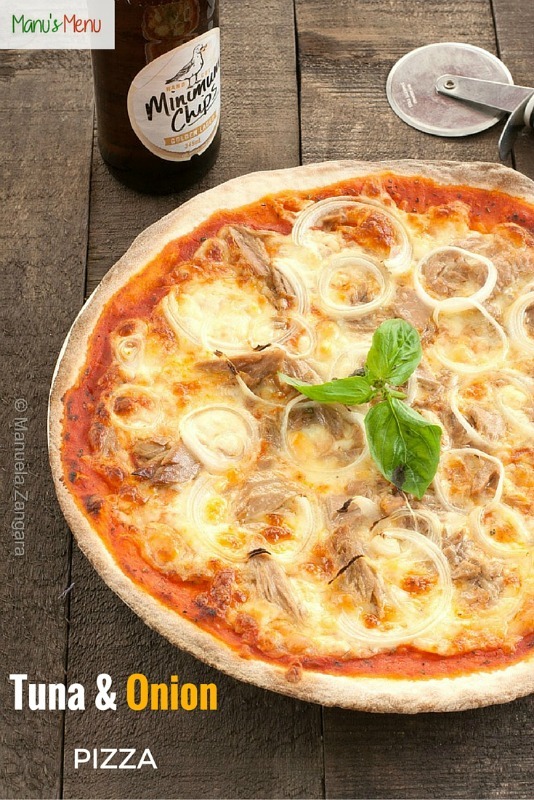 This Tuna and Onion Pizza is a classic pizza and you can easily find it on any pizzeria menu in Italy. 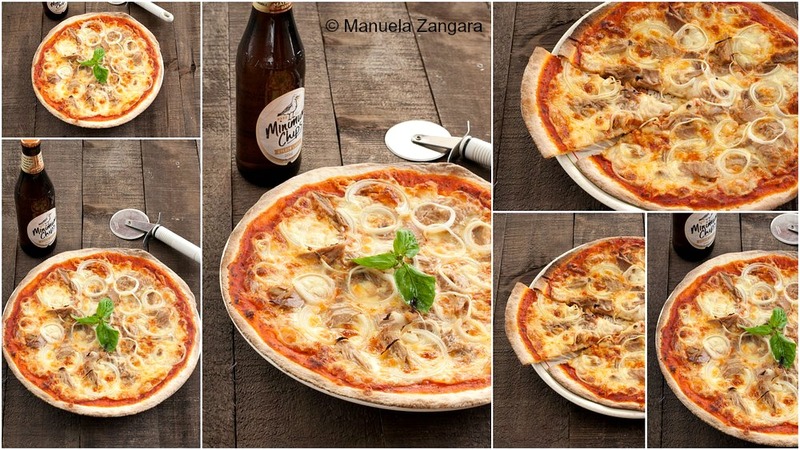 Pizza is a simple and hearty dish, just like Italian cuisine in general: there is no need to complicate it. Try it and le me know how you like it. Buon appetito! 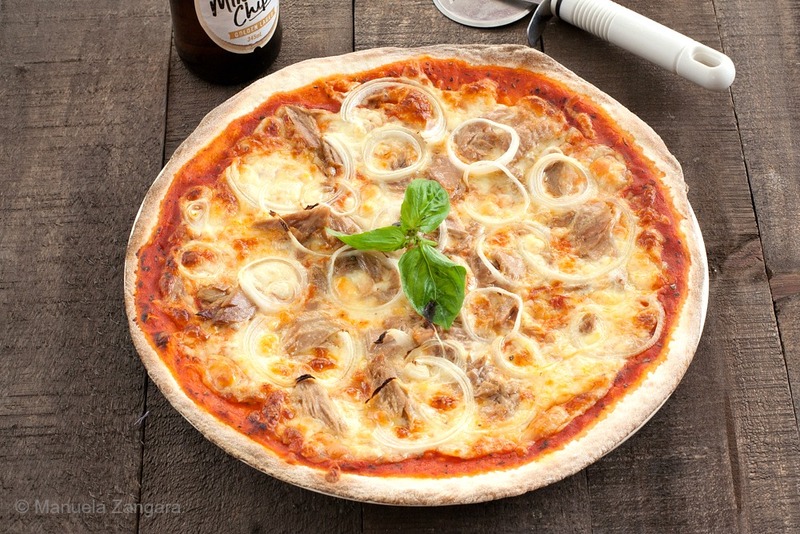 Tuna and Onion Pizza - a traditional topping for an authentic Italian pizza. Make the pizza dough as per this recipe and keep it to rise. While the dough rests, prepare the toppings: slice and shred the mozzarella. 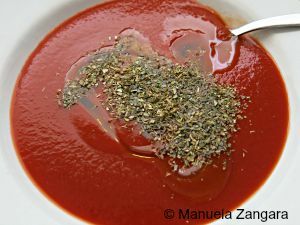 Prepare the tomato base by mixing the tomato purée with the extra virgin olive oil, oregano and salt to taste. 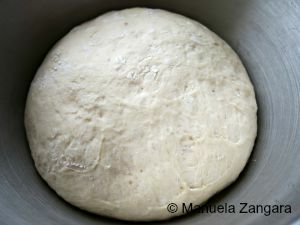 When the pizza dough is ready, divide it in 4 smaller balls and roll them with a rolling pin into 4 circles approximately 0.5 cm – ¼ inch thick. Now spread the tomato base on the pizza and bake in a preheated fan forced oven at 180°C – 355°F for 15 minutes. Take them out of the oven and put the mozzarella, tuna and sliced onion on the top. Put back in the oven for 5 minutes to let the cheese melt. When ready, take the pizze out of the oven and drizzle with some extra virgin olive oil. Decorate with fresh basil leaves, cut and enjoy warm! If you have a pizza stone like me, you can put the toppings on the pizza straight away (at the same time you put the tomato sauce) as the pizza will cook much faster on the stone (mine takes about 10 minutes) and the cheese will not burn.